Your baby is getting stronger every day, building the muscles necessary to crawl, walk, and run. This year is chock-full of exciting milestones and physical development. Learn about your baby's physical development, how to enhance it, and what to expect. What is tummy time? After so many hours spent sleeping on their backs, babies need practice using their neck muscles. Here, learn the basics of this crucial activity, including when to start tummy time. Dr. Alan Greene answers the question, How can I help strengthen my baby's neck? These simple activities suggested by Jamie Loehr M.D. and Jen Meyers, authors of "Raising Your Child," will both soothe your baby and enhance her physical development. These simple exercises will help your little one grow up big and strong. Encourage your baby to develop with these easy activities that will also encourage him to bond with you. These fun playtime activities from Jamie Loehr and Jen Meyers, authors of "Raising Your Child" will encourage Baby's physical development. 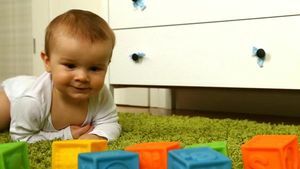 According to the American Academy of Pediatrics (AAP) by 9 months, most babies will begin trying to stand on their own. Learn how you can encourage your child's standing skills with these simple day-to-day activities. Your baby's vision is constantly developing as he grows. Drastic and rapid changes begin occurring from birth. Know the developmental milestones as your baby's vision develops and what you can do to help accommodate his changing eyesight. This week-by-week, month-by-month guide will help you throughout the process. Tummy-time exercises promote your baby's neck and core strength. Use these activities, toys, and boppy pillows to help her grow into a strong, healthy toddler. Watching your baby gain independence is exciting. A major accomplishments every parent looks forward to is when she can sit on her own. Pediatrician Kurt Heyrman, M.D. says there are ways that you can help Baby gain these large motor skills and help her sit on her own. Here's how. Try these massage strokes to calm and connect with you baby. 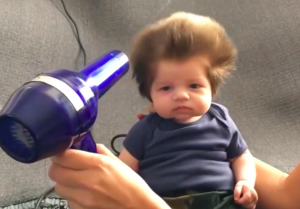 When he was born with a full head of hair, everyone thought he'd eventually lose it. He didn't. 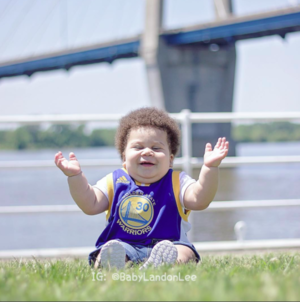 When a stranger tried to fat-shame her adorable baby boy, one mom fired back brilliantly. 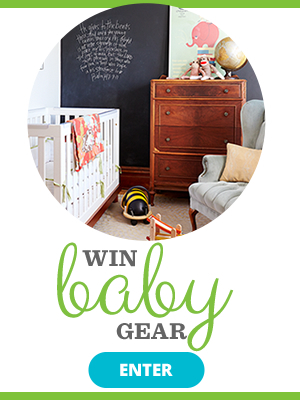 Here's how your baby learns to get from here to there. 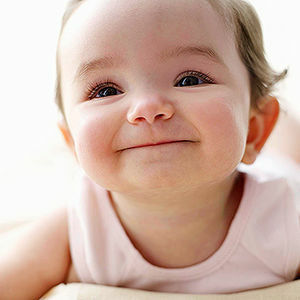 From the color of her eyes to the shape of her nose, learn how your cutie's features are formed. Every day is full of new challenges, from taking the stairs to scaling the couch. Don't you wish you could bottle that energy? By now, your little munchkin is ready to sit up and take on the world from a different angle. So at what age do babies sit up? Learn more about when babies reach the sitting milestone and improve their physical development. 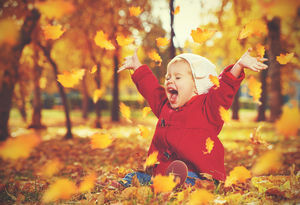 Kids grow faster in their first year than at any other stage of life. We've got your most common concerns covered. Let's face it: A newborn doesn't do much. But a 1-year-old? That's an entirely different story! In just 12 months, a floppy infant morphs into a perpetual-motion machine. Along the way, she'll learn to sit, scoot, and stand. Stay one move ahead of the game with this step-by-step guide to motor development.